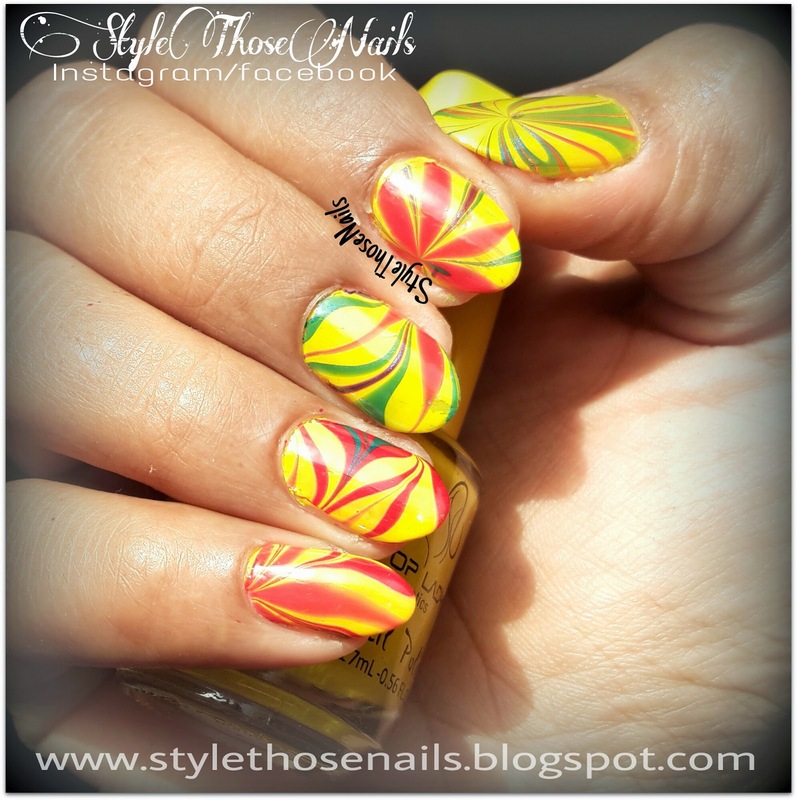 Style Those Nails: Summer Water Marble Nailart and Tutorial- Welcome Back Summer ! 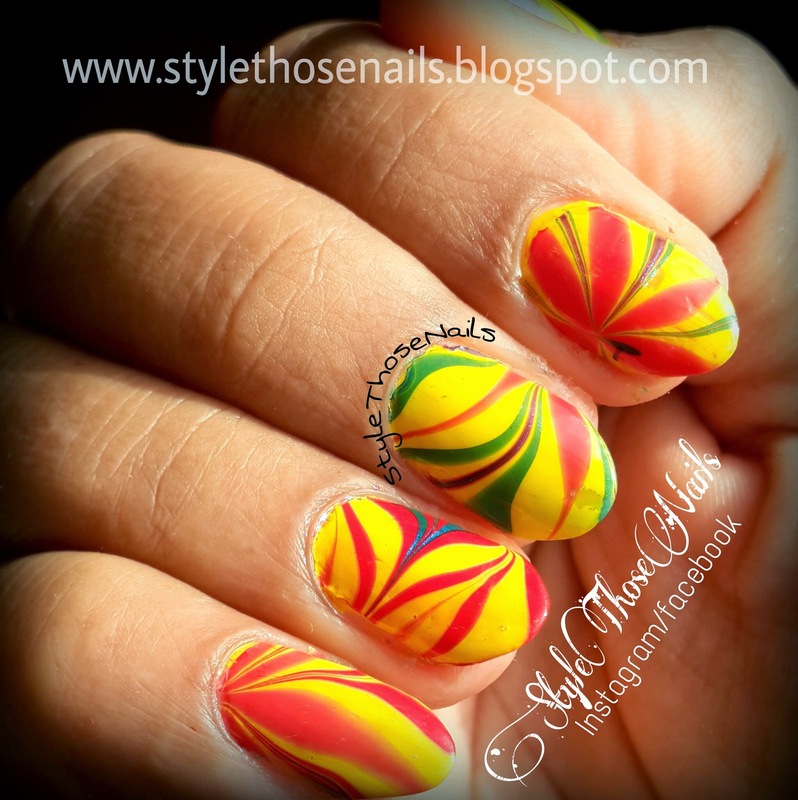 Summer Water Marble Nailart and Tutorial- Welcome Back Summer ! 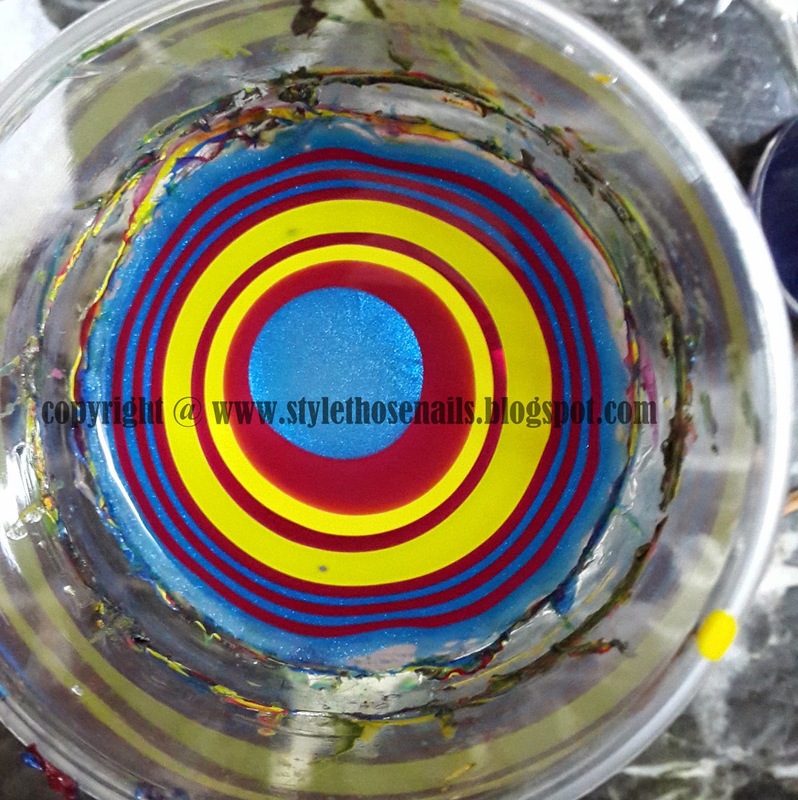 Today I am super-duper excited to share this water-marble look. This is for StyleThoseNailsChallenges a face book group where we are having a fun summer challenge. Wanna Join ? Click HERE. 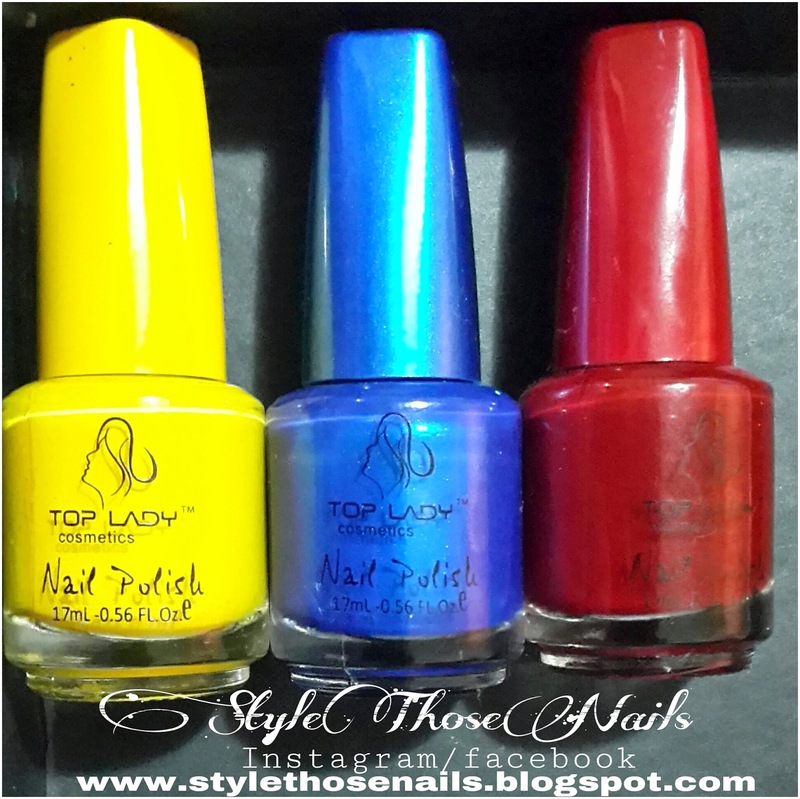 I recently bought some bright polishes called Top Lady Nail Polish from a local beauty supply store in Qatar. 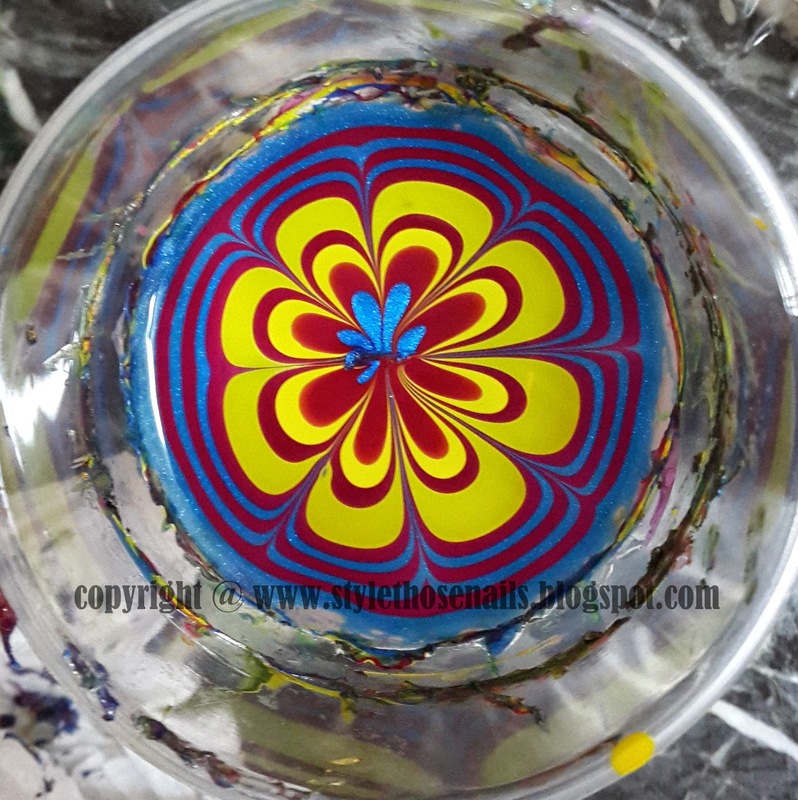 It's no fancy brand and I picked them as I didn't have those bright colors, but I was so amazed to see their ability to spread in water and create water marble. So I am going to bring more now ..... 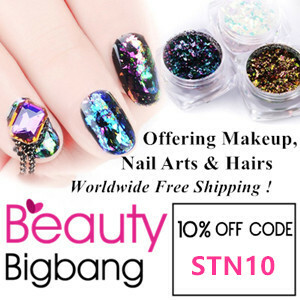 I am budget nail-polish collector so it just suits me. And if anyone from Doha reading it, I will let you know the shop name so PM on facebook if you are interested. 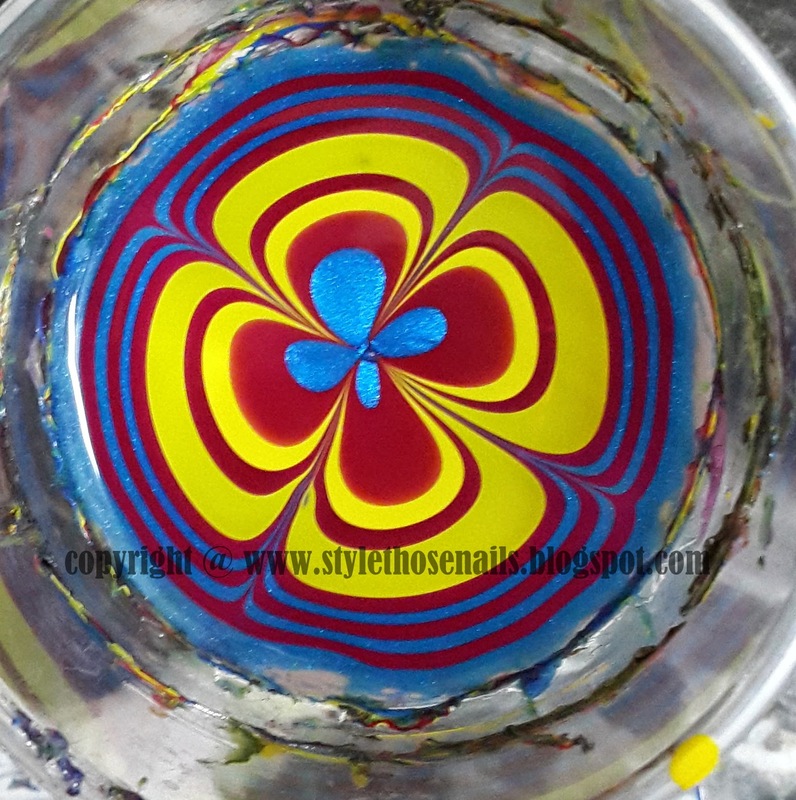 I started with making bulls eye with red blue and yellow colors. Water is filtered- room temperature and taken in a disposable glass. When I got enough rings I started dragging from outer rings with a toothpick and dragged all rings from 4 corners towards center. Looks like clover leaf. 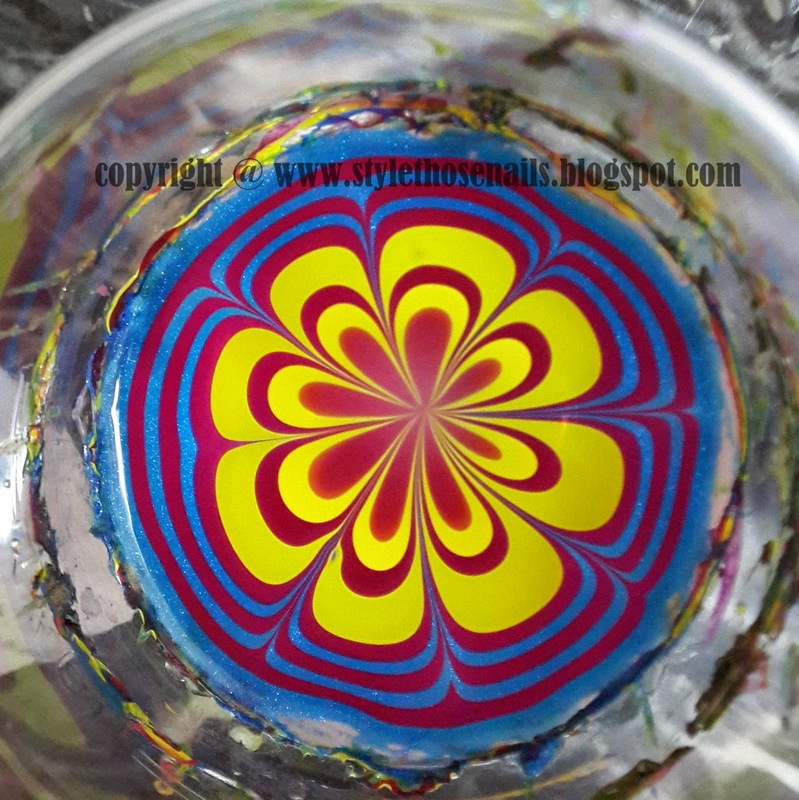 Then I dragged 4 more times from outer side towards center and thus made a flower shape. Here you can see my blue ring got messed up in center so I decided to remove it. I just dipped my toothpick in center until I got clean pattern. 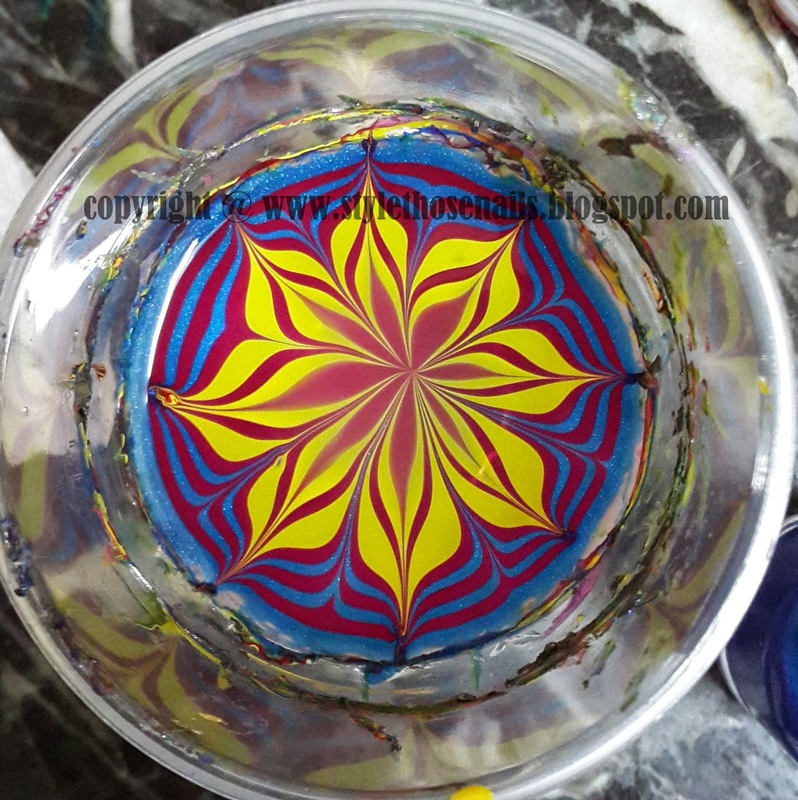 Since I wanted to make some wild tropical kind of flower I dragged each petal of flower formed from center to outer corner and thus got this pattern. * Always tape your fingers leaving nails (of-course!) so you don't have to clean up A LOT. ** Wipe your tool like toothpick or needle after every stroke to get clean pattern. *** Don't forget to Top coat your design.